This year is the 51st annual Moab Easter Jeep Safari, a week-long off-road safari that attracts thousands of Jeep fans each year. It is tradition for Jeep to impress with a number of radical concept cars to debut at the event, but it just so happens that the oldest and most conservative of the 5 concept vehicles held its own. 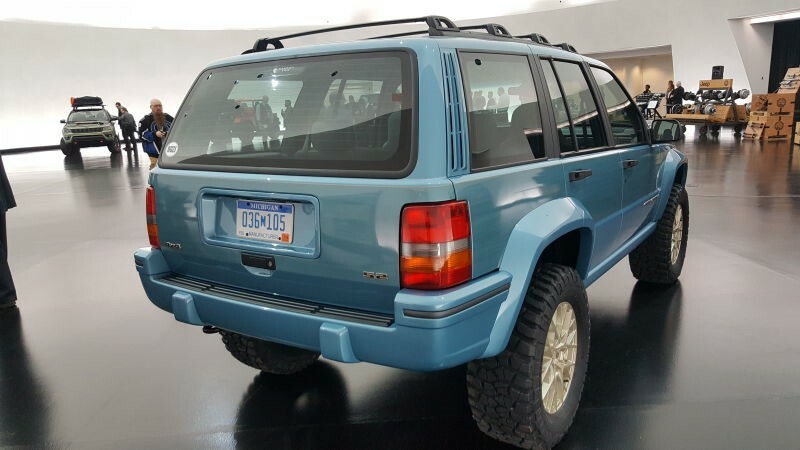 The Jeep Grand One started out as a bland white 1993 ZJ-generation Grand Cherokee that was bought off Craigslist. 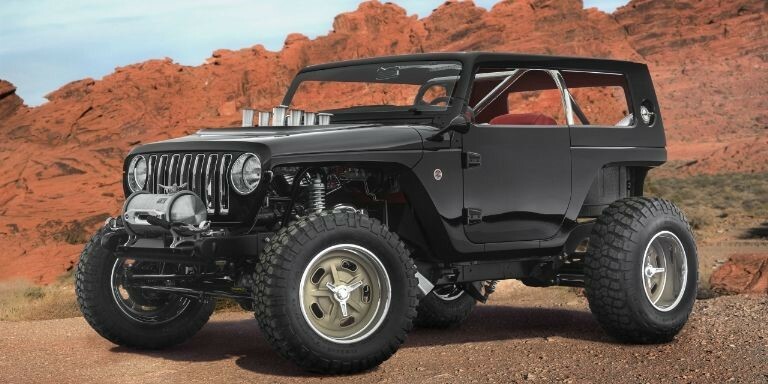 Jeep then took the ordinary vehicle and built it into a restomod by adding a two-inch suspension lift and extending the wheelbase by five inches. They also cut and flared the wheel wells enough to clear 33-inch BF Goodrich Mud Terrains on custom basket weave 18-inch wheels. And that’s about all there is to the concept car. Furthermore, the interior has been painstakingly restored. This concept car is a subtle one, for the real ZJ fans out there. From there, the other concepts are more daring and worthy of the concept car name. The Quicksand is a vaguely Wrangler-based sand buggy with Hilborn-style fuel injection stacks poking through the bonnet, which feeds a 392 Hemi crate V8. 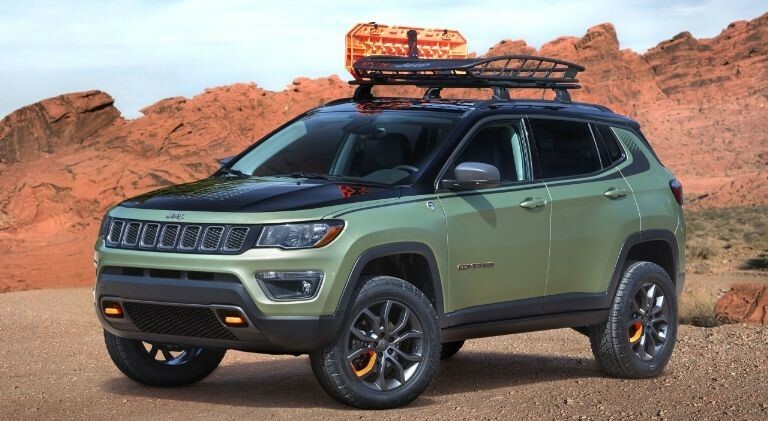 A Warn winch sits in the Moon-style fuel tank ahead of the grille; while out back a recovery strap is tucked into the spot where you'd expect to find a drag parachute. The Safari concept was designed for an unimpeded view of your surroundings without you having to remove the roof or doors. A clear hardtop panel and doors are made of clear vinyl stretched over aluminium frames – the vehicle’s hallmark features. 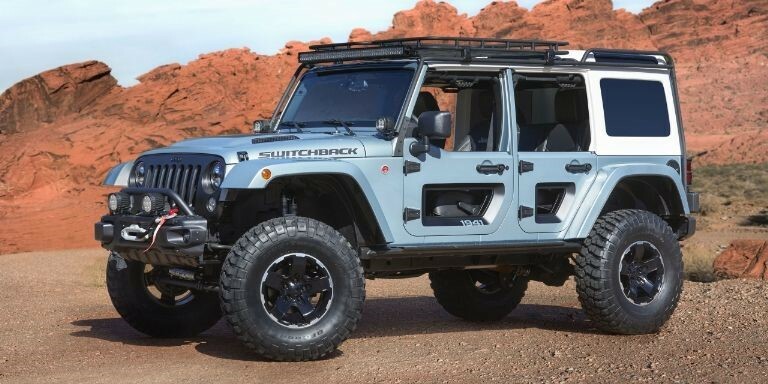 The Switchback gets closer to the production body styling, showcasing a number of Mopar and Jeep Performance available through Jeep dealers. The Luminator has a bushel of LED auxiliary lights in the wheel wells, headlight holes, the taillights, the A-pillars, the bumpers, and the roof. There is also a hood-mounted light bar which can automatically spotlight and follow a moving object. Clearly its name is appropriate. Lastly is the Trailpass, a Jeep Compass with a 1.5-inch suspension lift, Jeep Performance Parts roof basket, and a custom paint job. 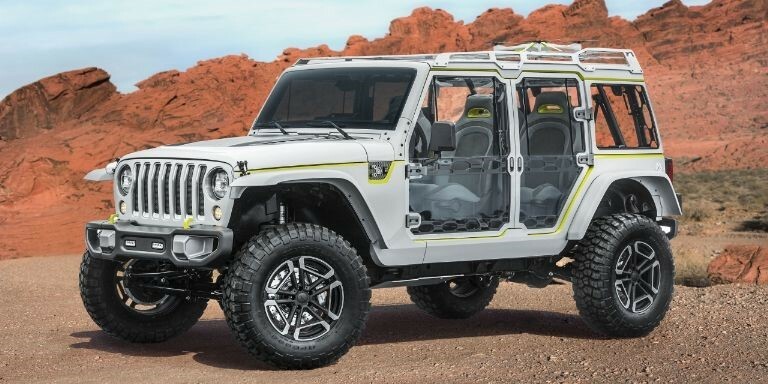 Jeep has an easy job when building wild concept vehicles. The current Wrangler is probably one of the simplest modern cars for customization, thanks to its body-on-frame layout and Lego-like construction. Here is to hoping next year will be just as impressive.